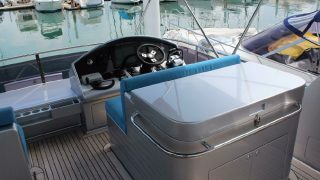 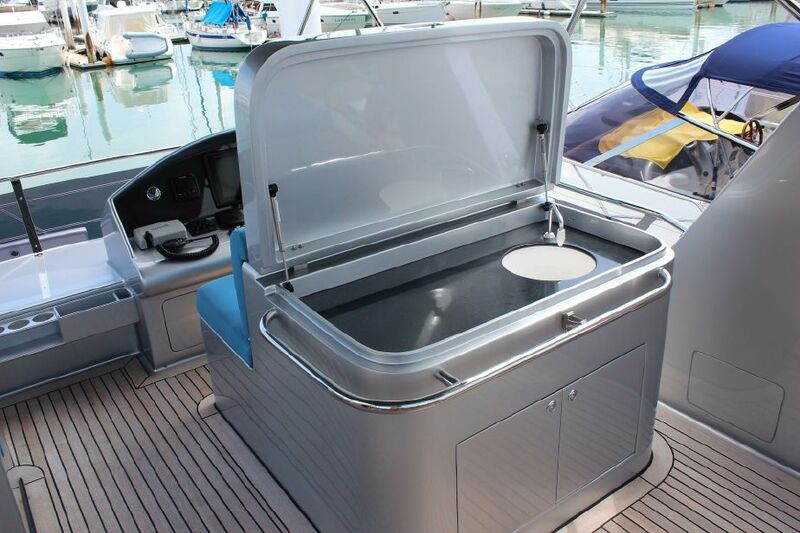 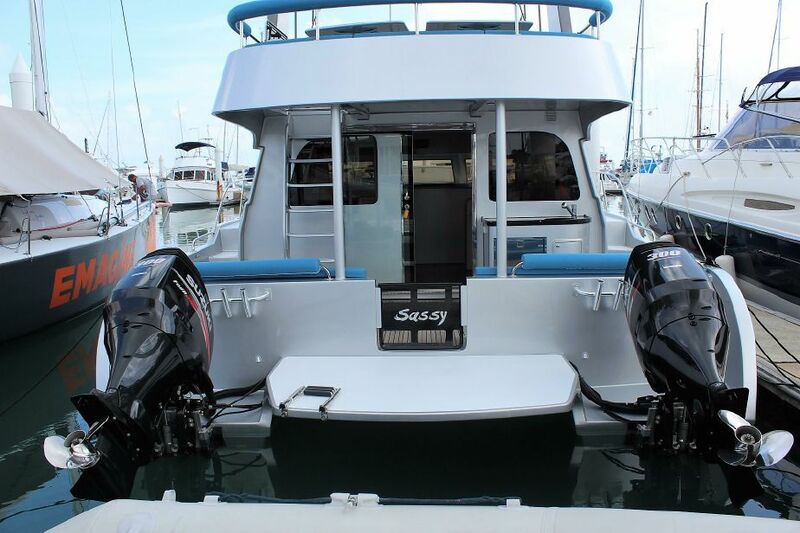 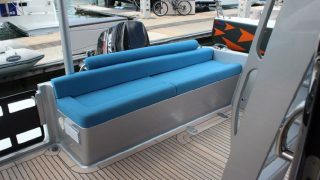 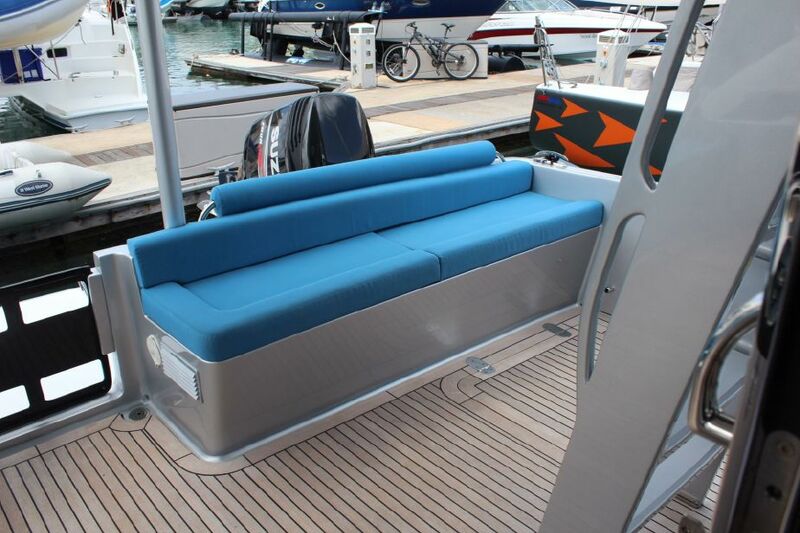 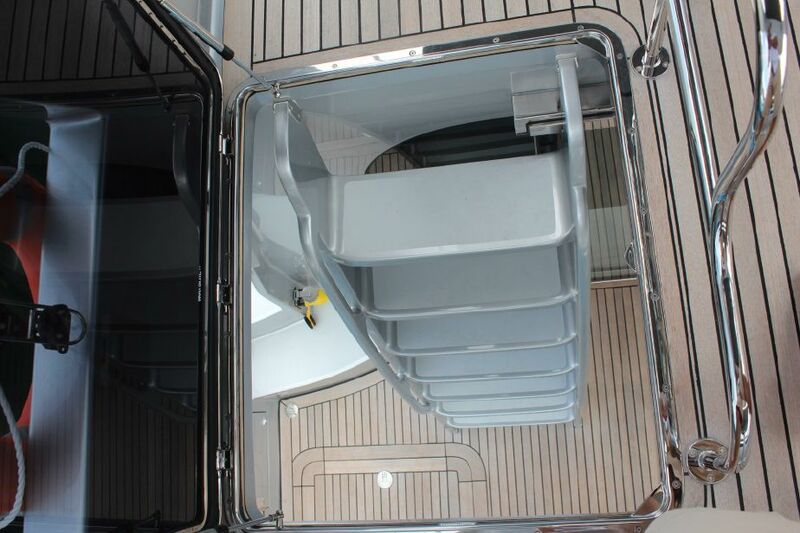 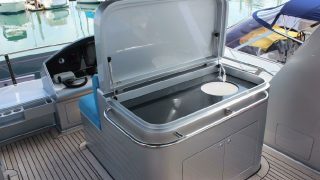 For sale a brand new Precision 3500 powercat driven along by 2 x 300 hp Suzuki DF300s in Awlgrip Sliver. 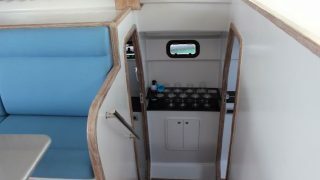 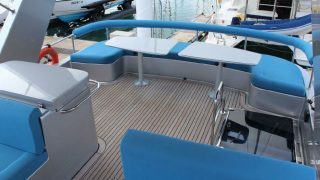 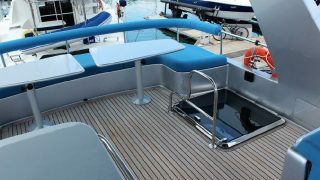 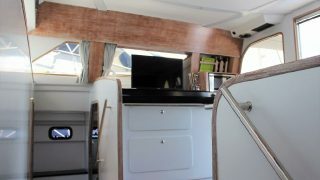 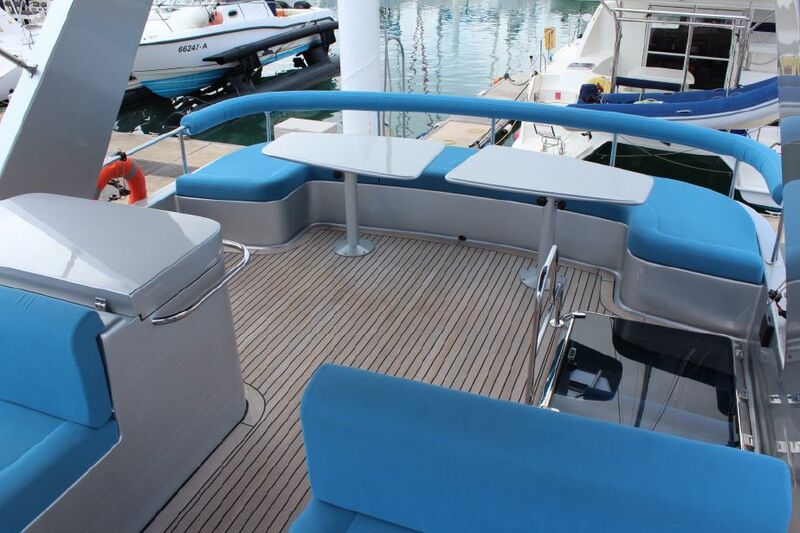 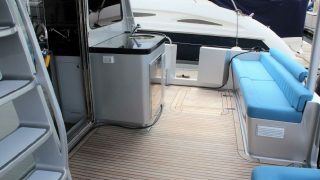 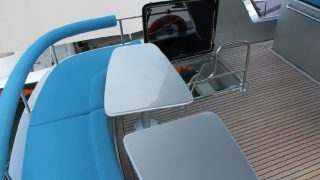 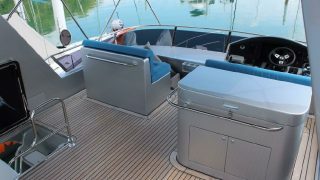 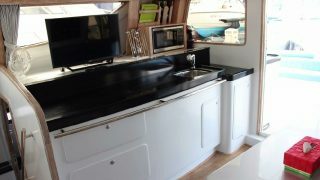 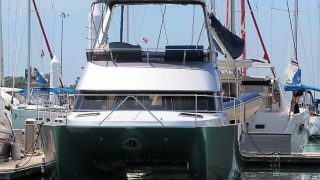 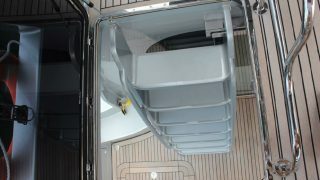 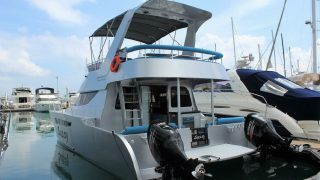 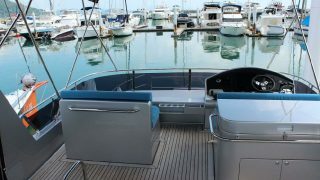 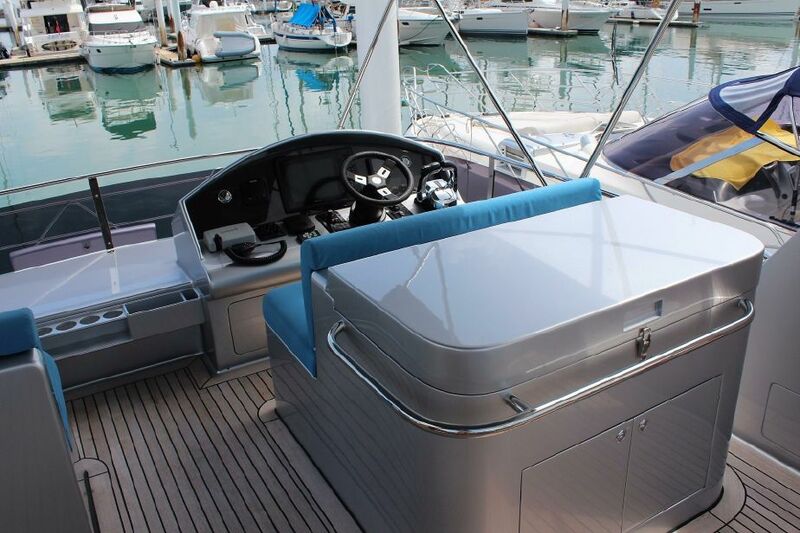 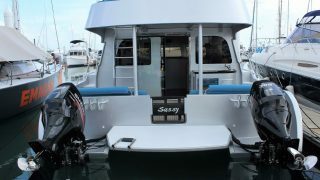 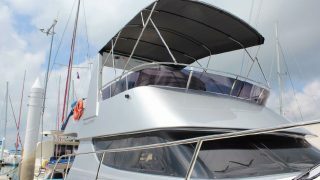 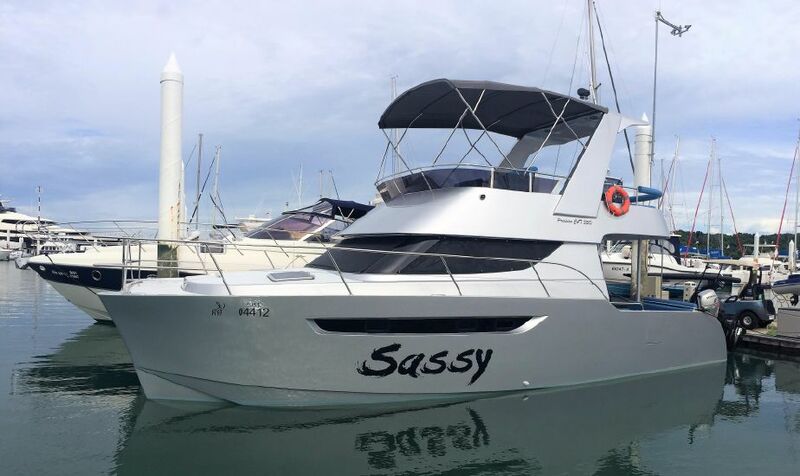 A stunning looking cat, she’ll cruise all day at 22 knots with a very comfortable ride and top out a shade under 30 knots. 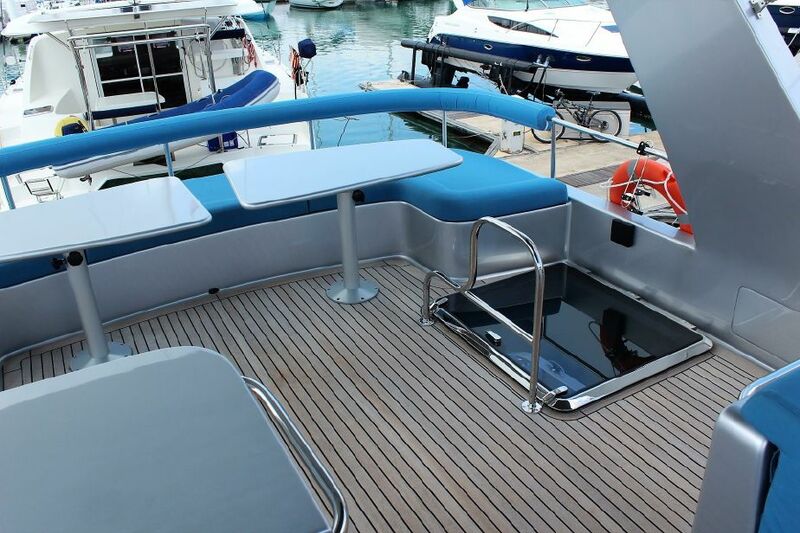 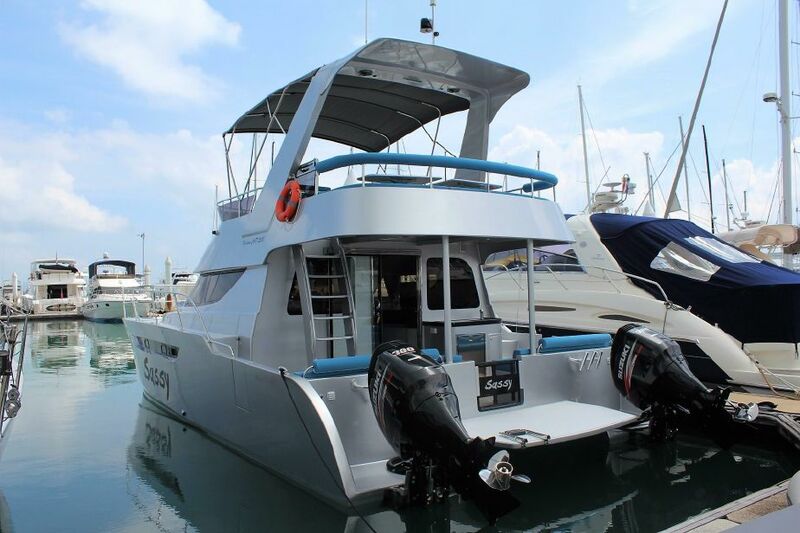 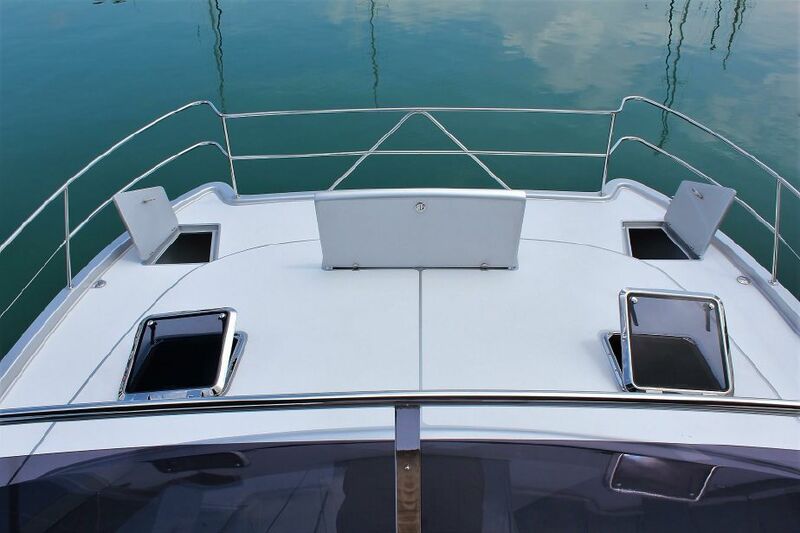 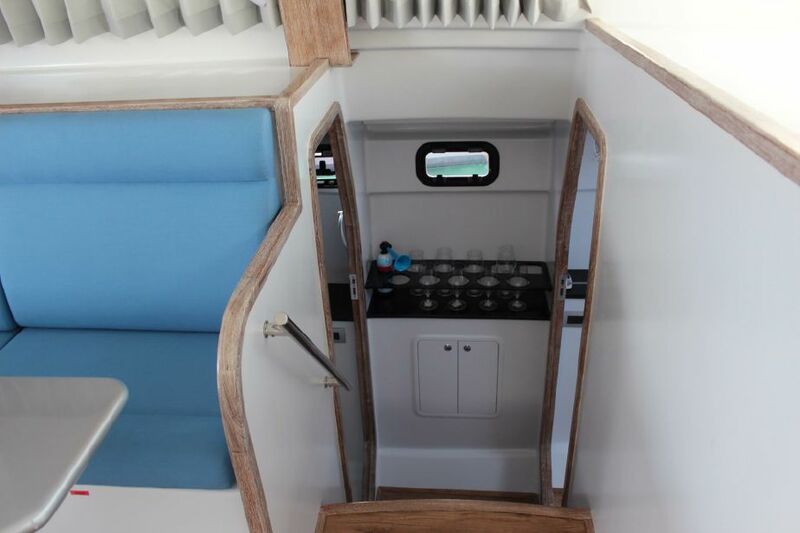 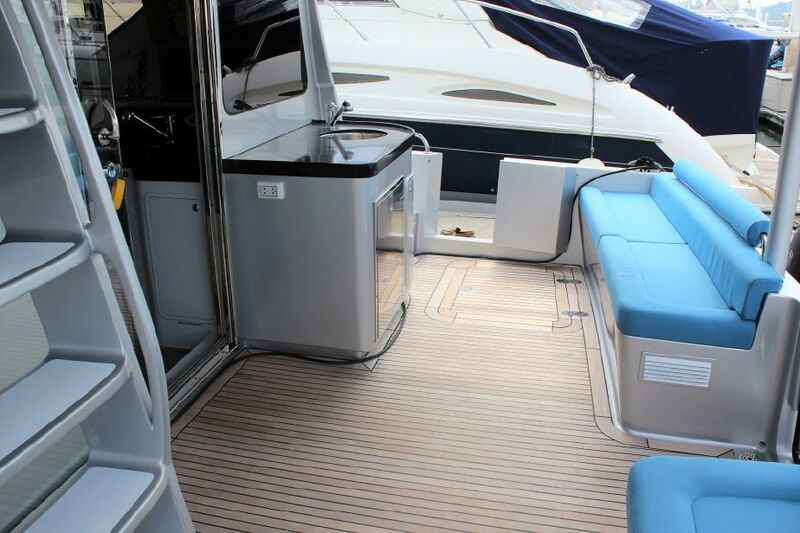 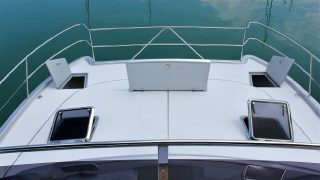 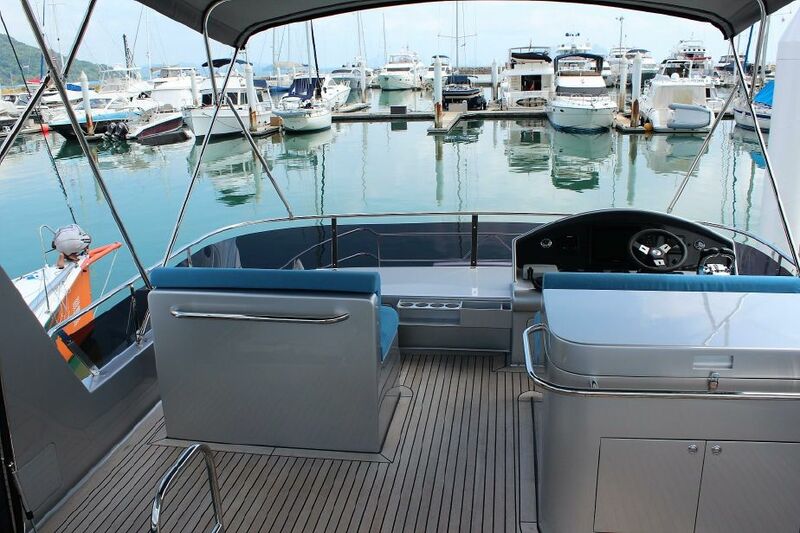 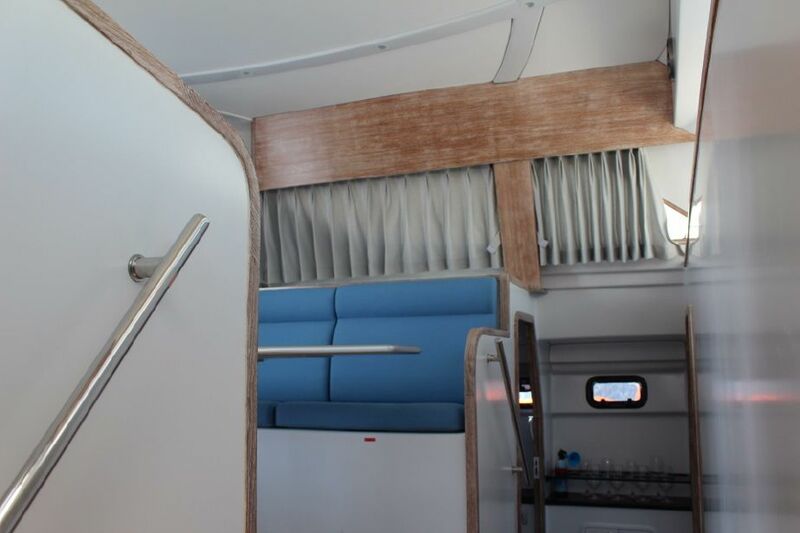 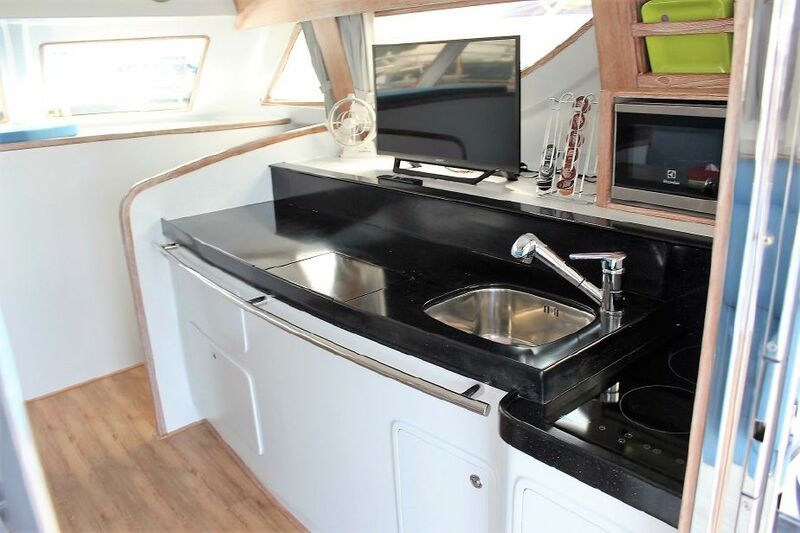 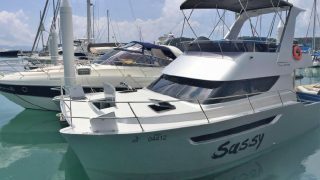 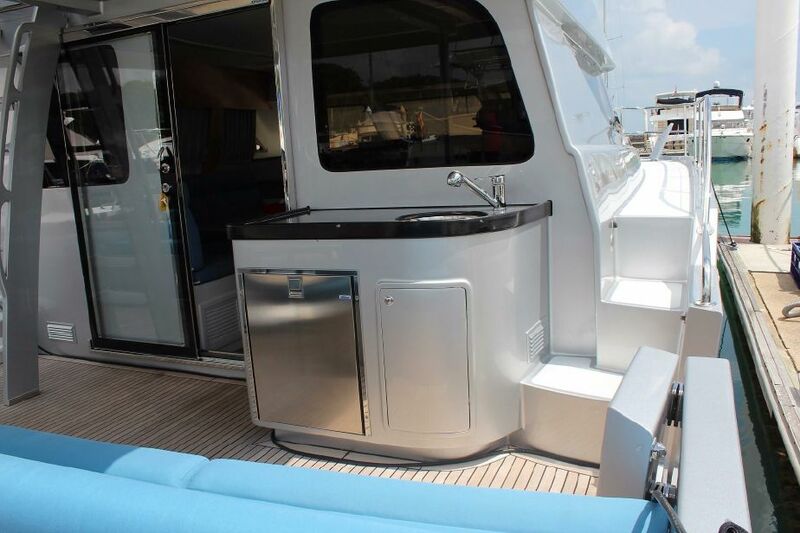 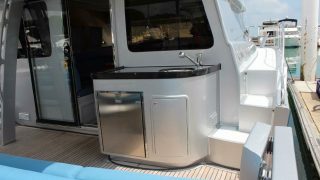 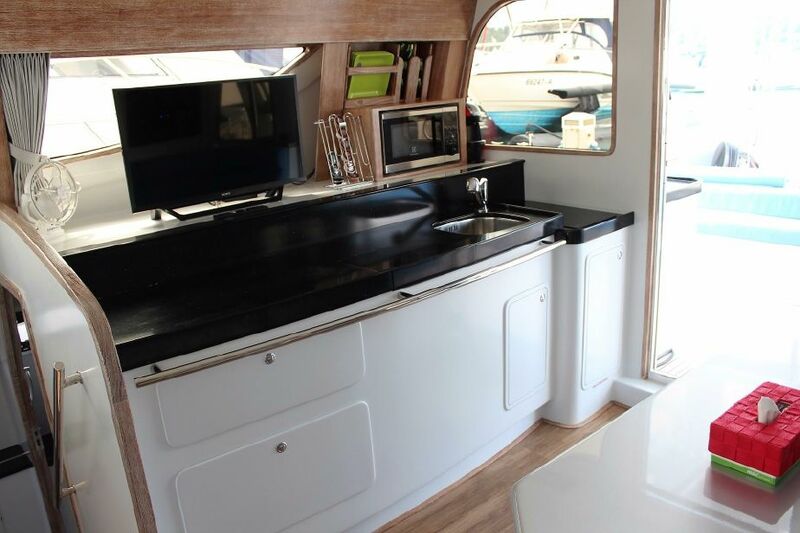 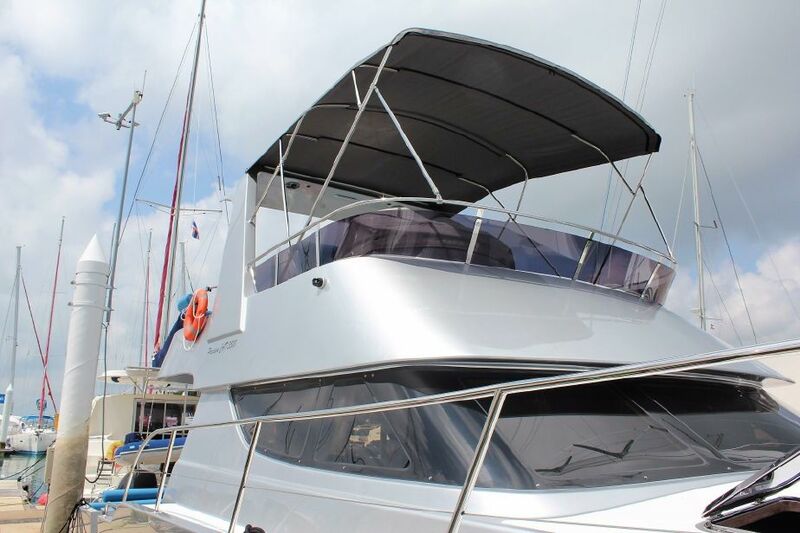 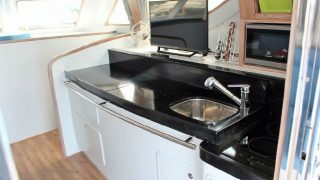 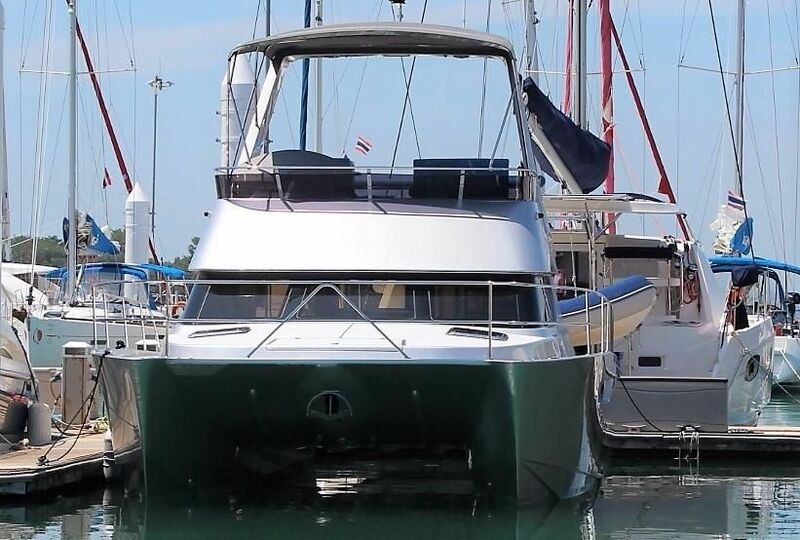 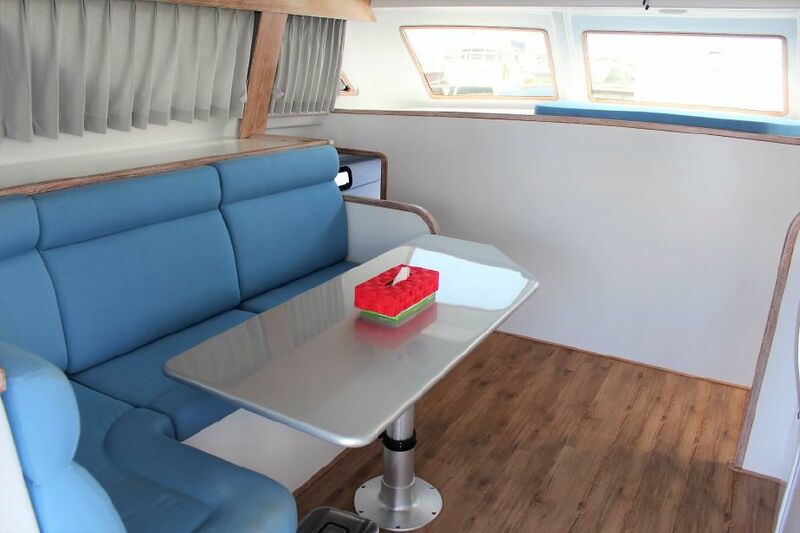 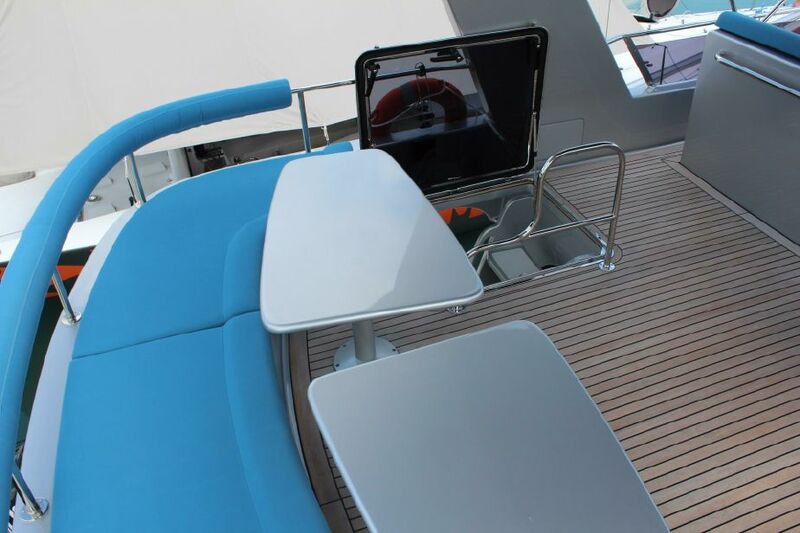 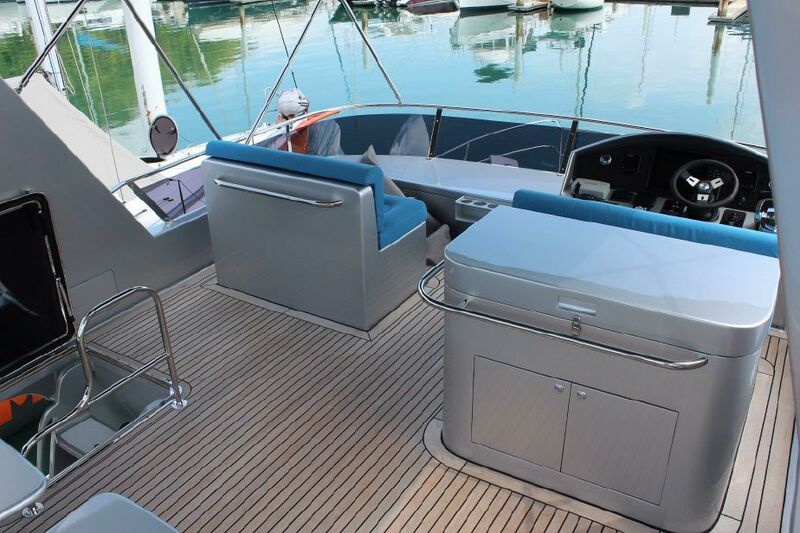 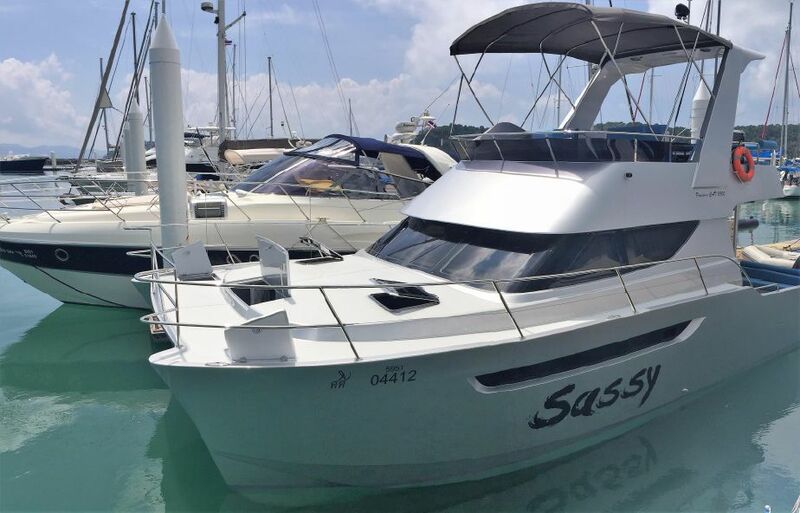 Built by one of Thailand’s most respected and well known Australian builders this Precision 3500 is a pocket rocket with a very spacious flybridge, air-conditioned saloon and cabins with a decent sized stern entertainment area. 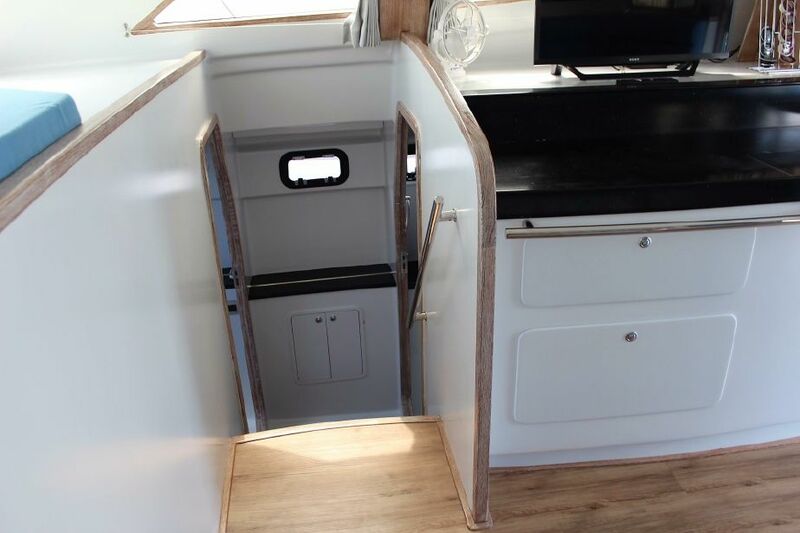 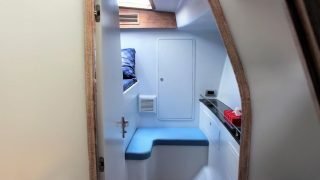 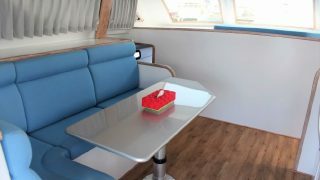 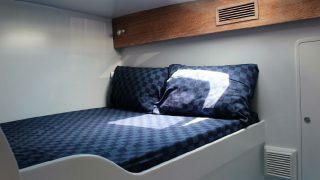 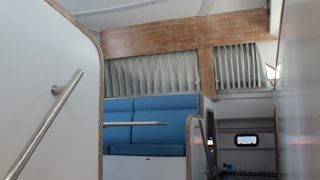 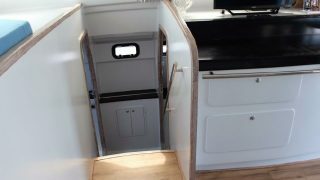 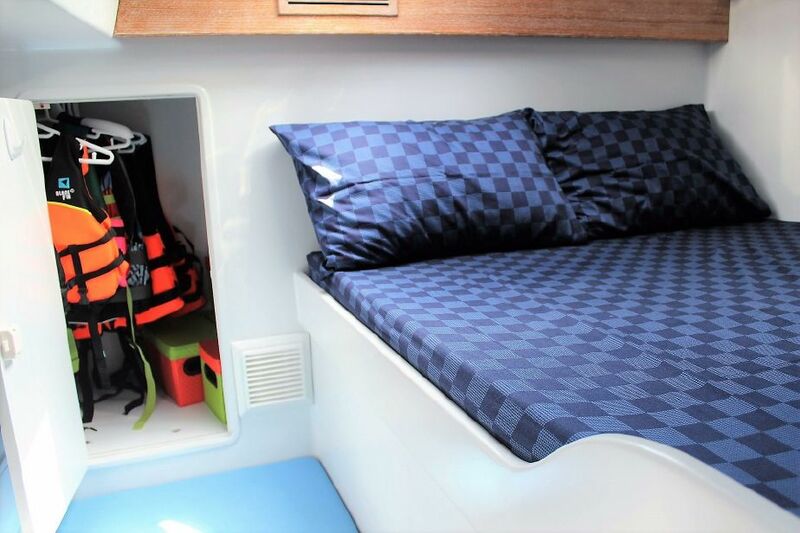 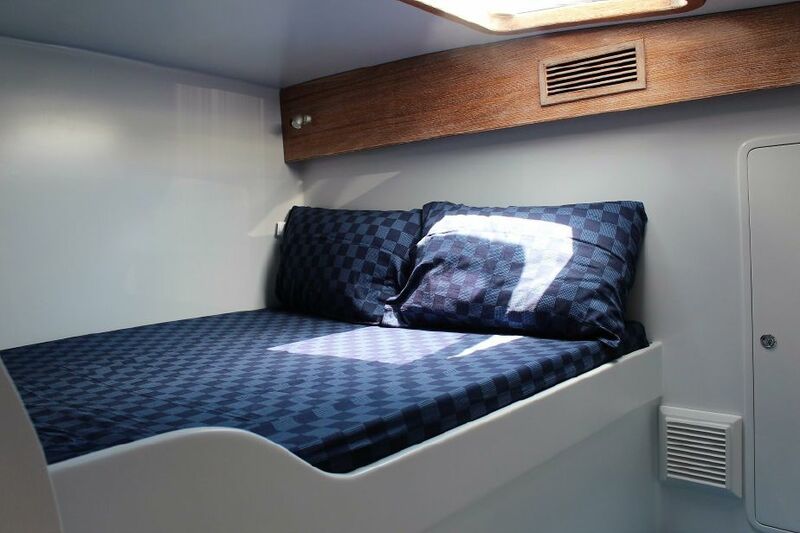 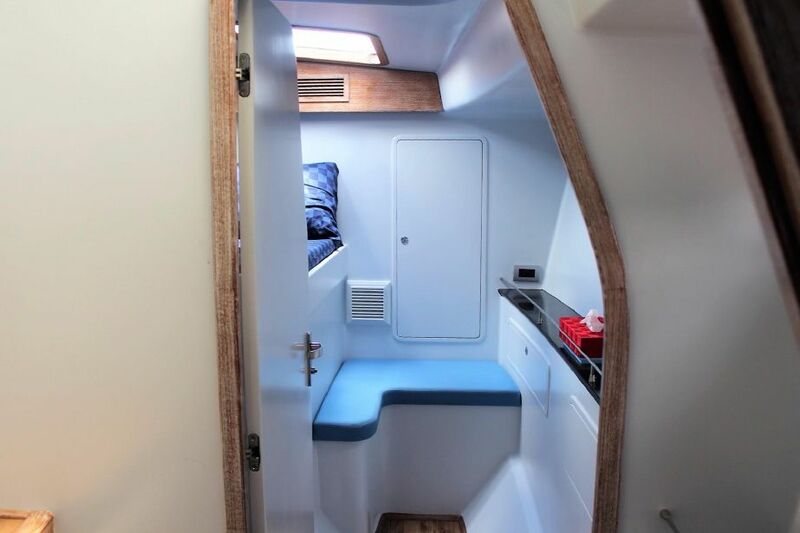 There is plenty of space for 10-20 guests for a day and will sleep 6 in comfort in the 2 cabins and Saloon. 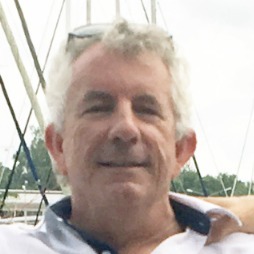 If you are into fishing there is enough space to set up a chair and power out to the fishing grounds in style or head off to any of the nearby islands to relax with a BBQ off the pristine sands in Thailand. 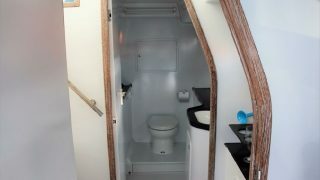 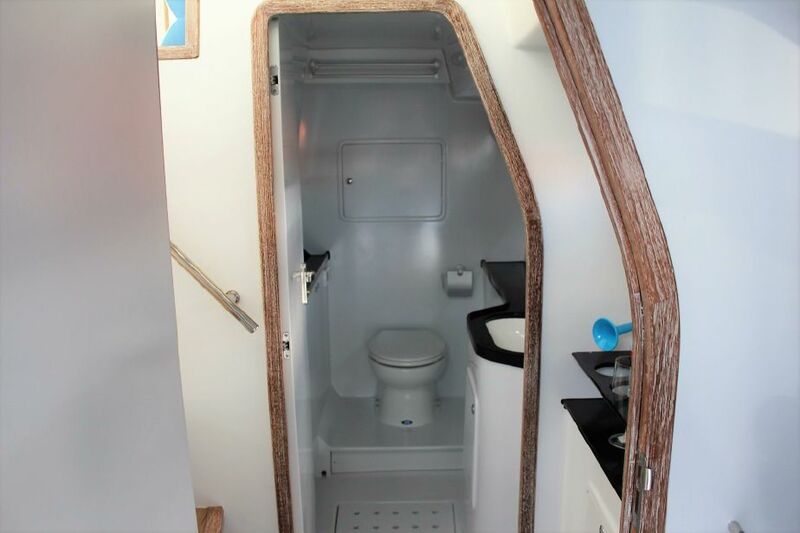 A week in the islands will be a dream with 2 full ensuite bathrooms with showers and electric toilets. 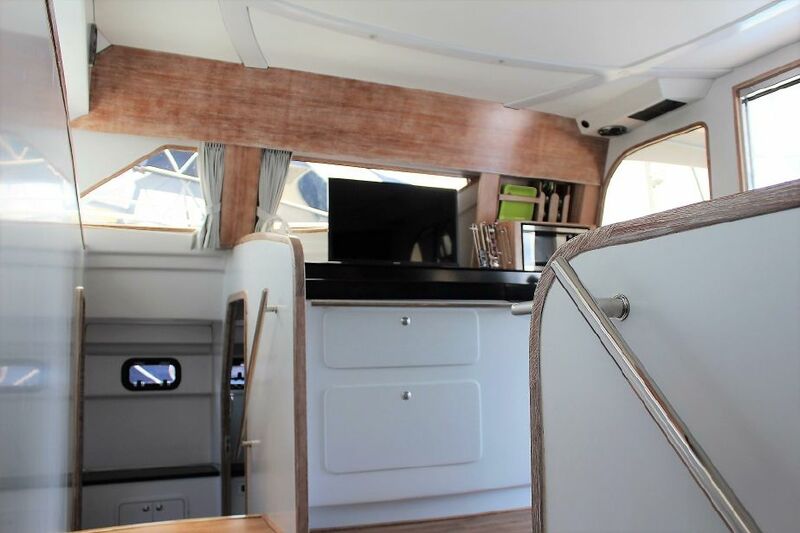 If you want this beautiful 3500 in Australia or further afield she’ll get there under her own steam or jump her onto a transporter for an easy delivery.